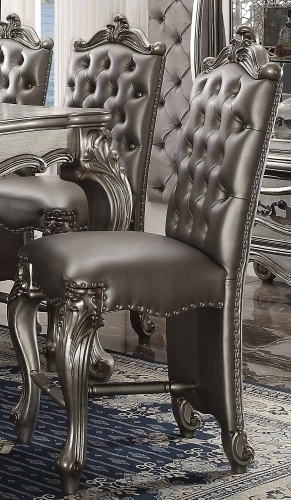 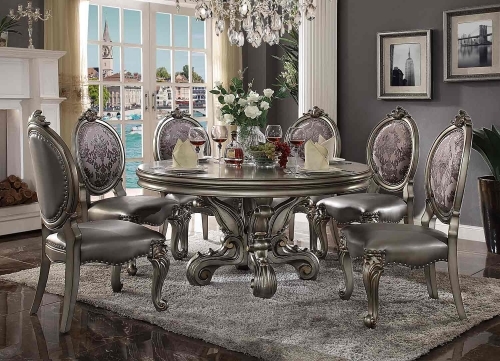 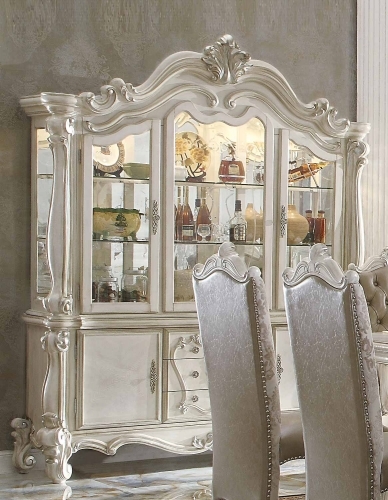 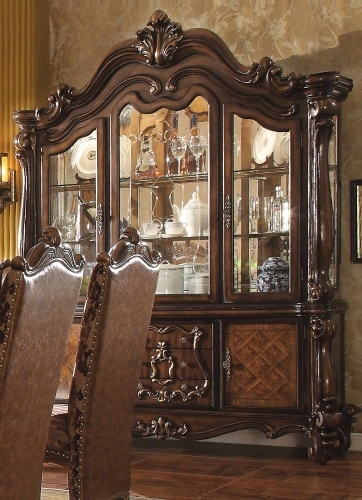 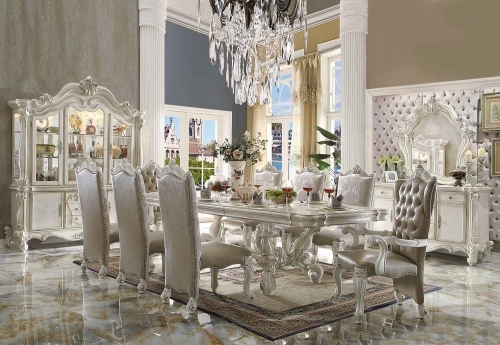 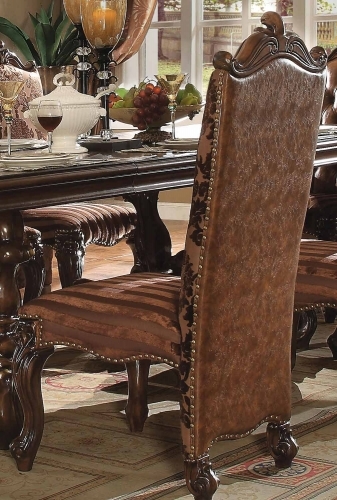 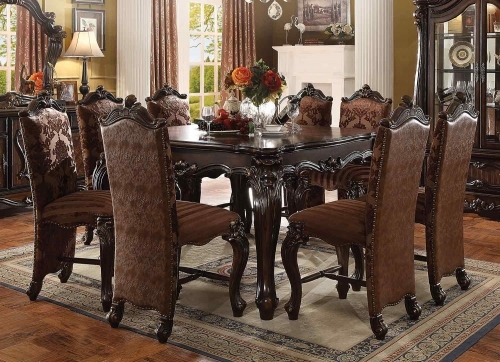 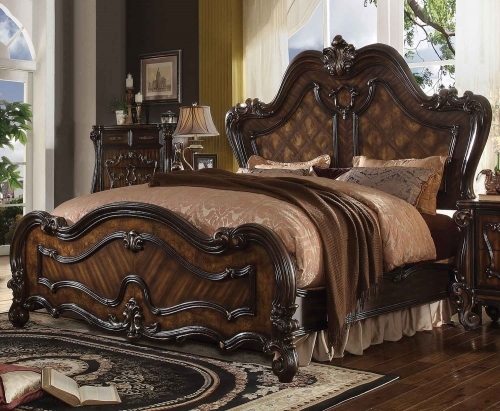 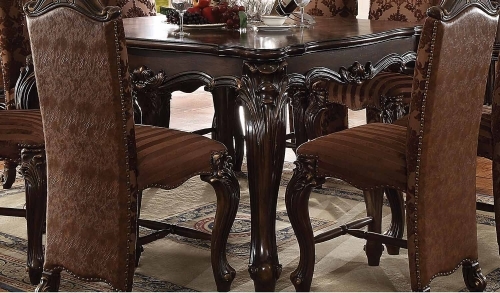 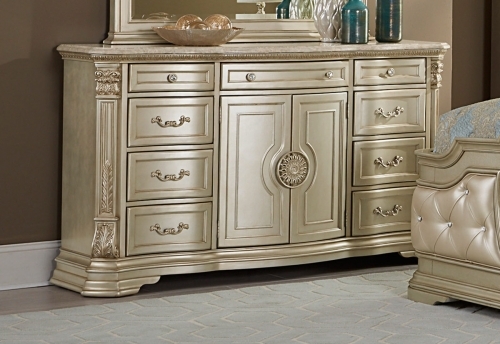 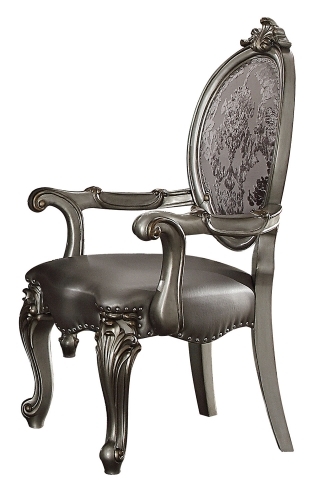 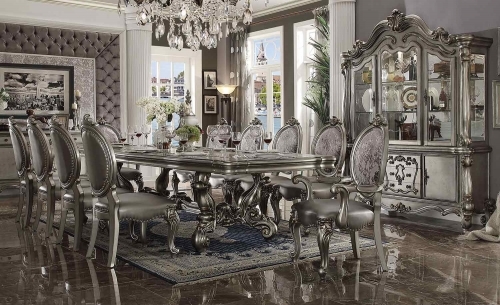 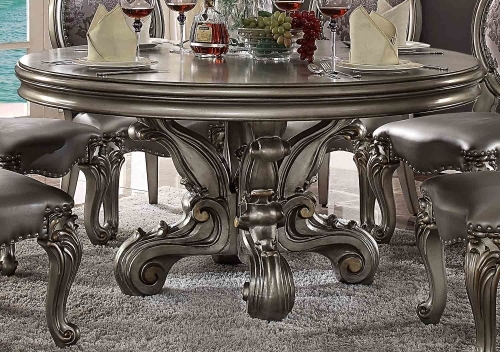 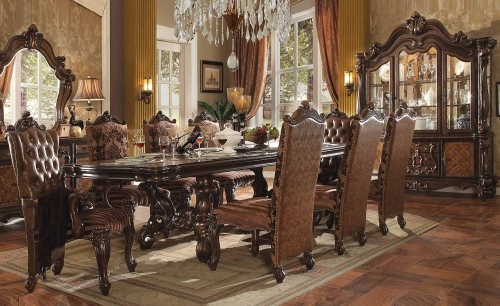 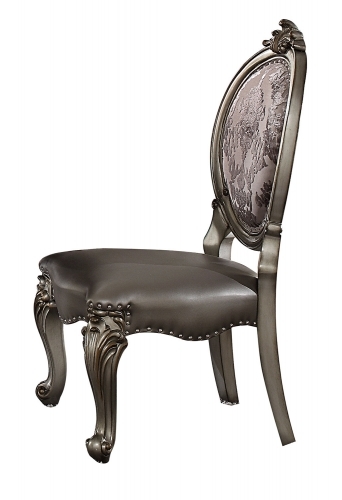 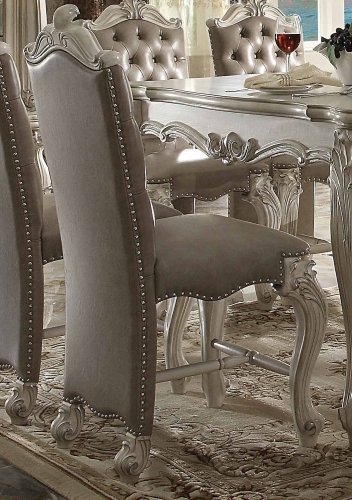 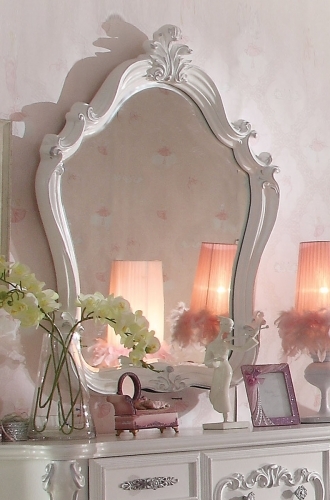 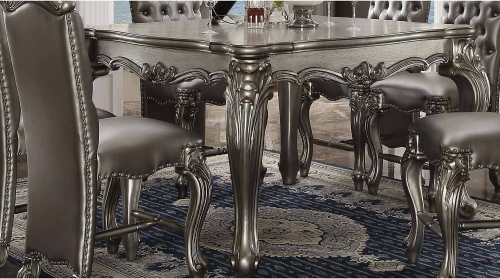 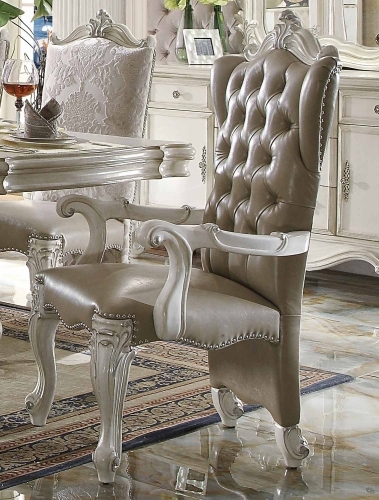 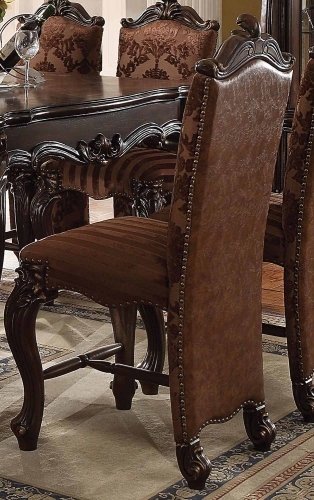 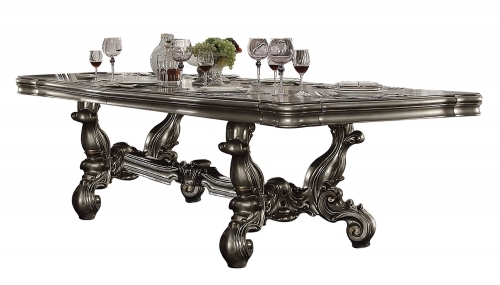 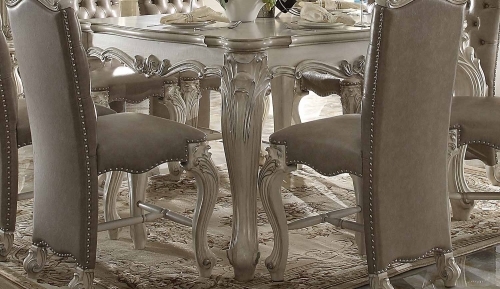 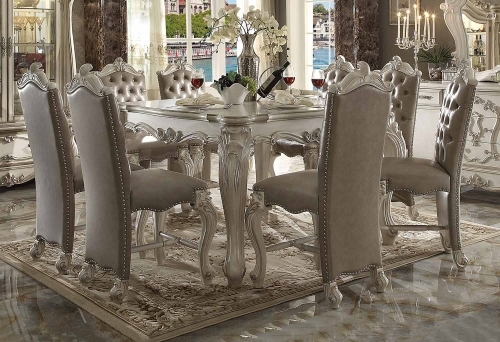 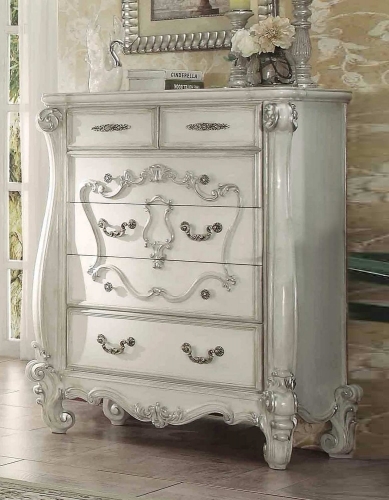 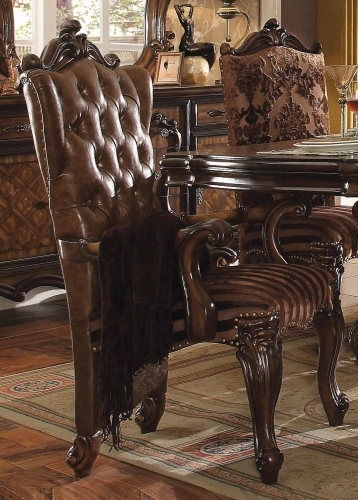 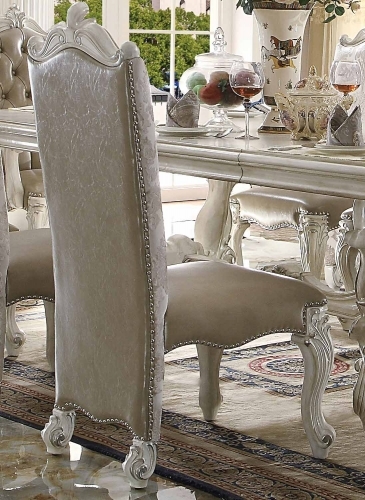 The Versailles collection harmonizes traditional details with functional design to accommodate today’s styles. 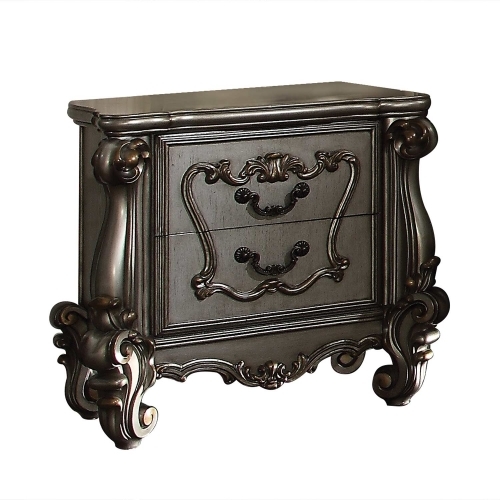 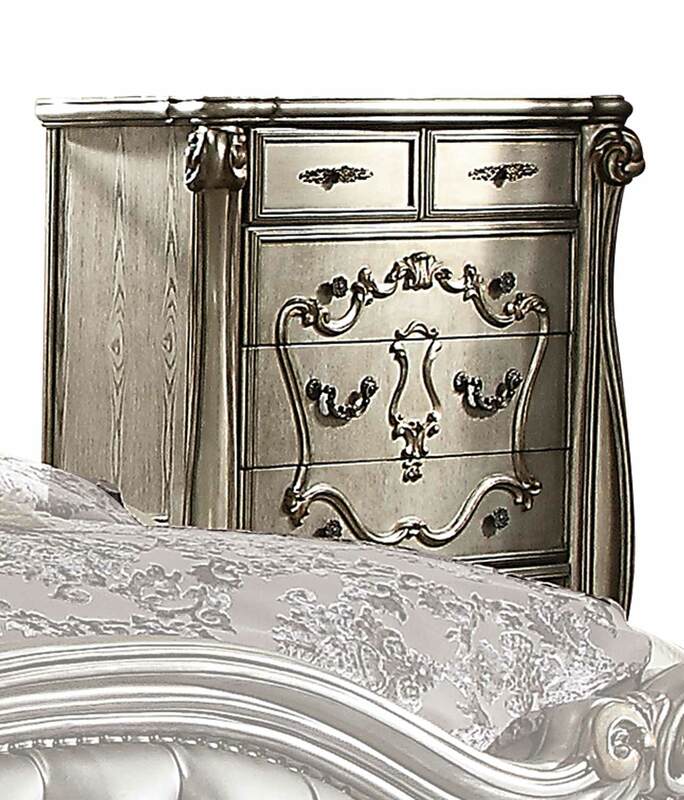 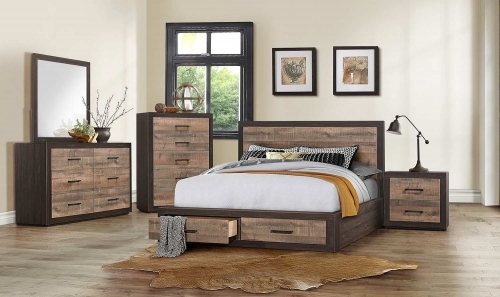 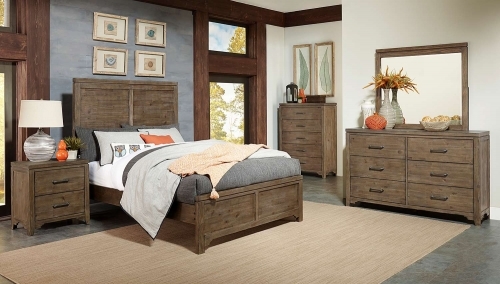 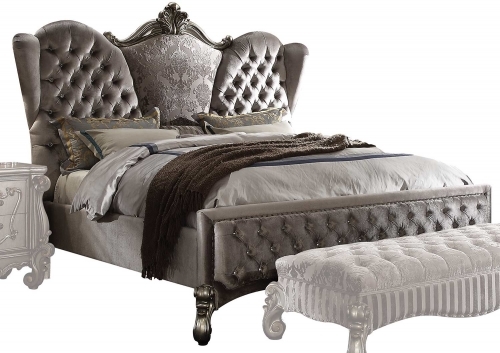 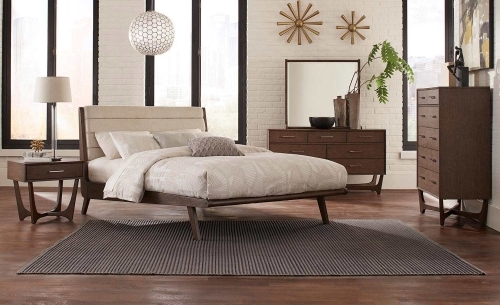 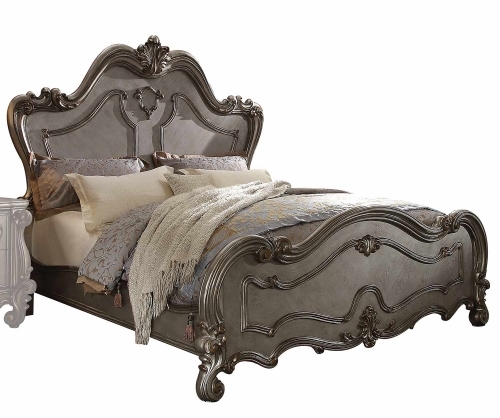 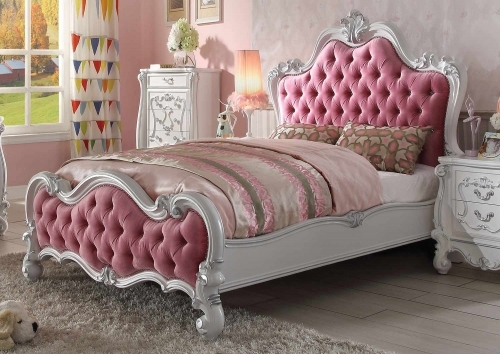 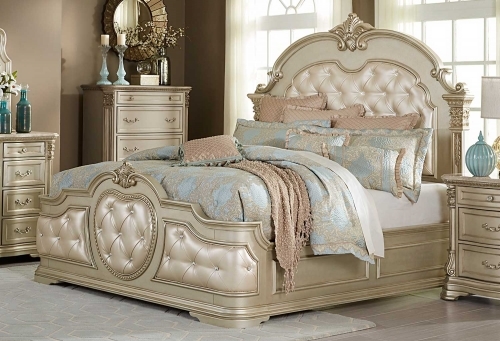 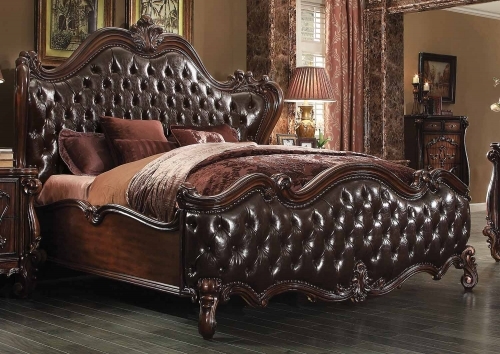 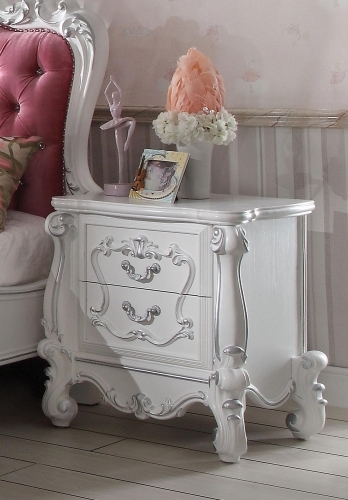 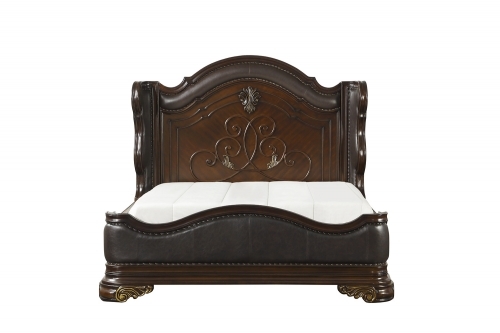 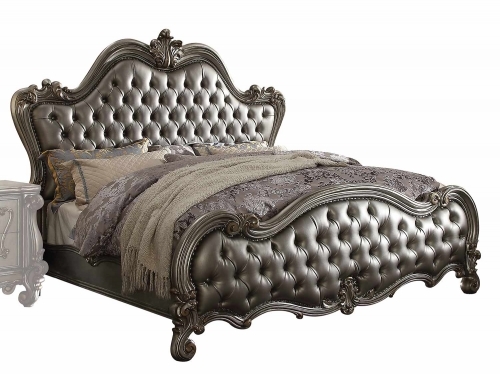 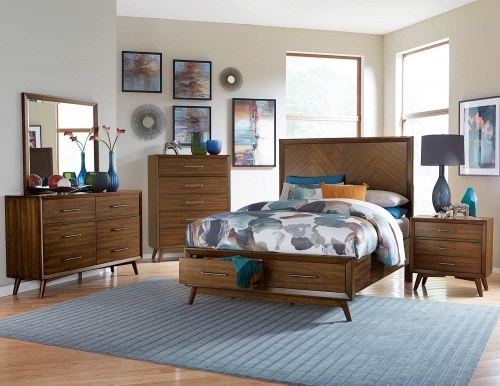 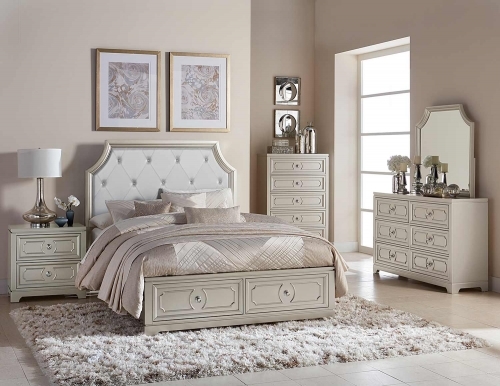 This bedroom collection features antique platinum veneers, nailhead trim accents, button tufted headboard/footboard , padded side rails, and hand-carved style wood drawer overlays throughout all case pieces. 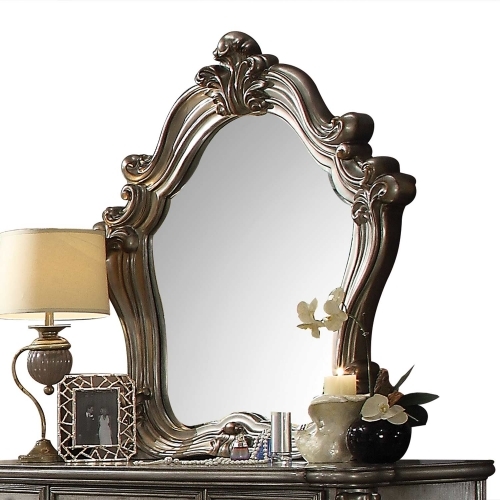 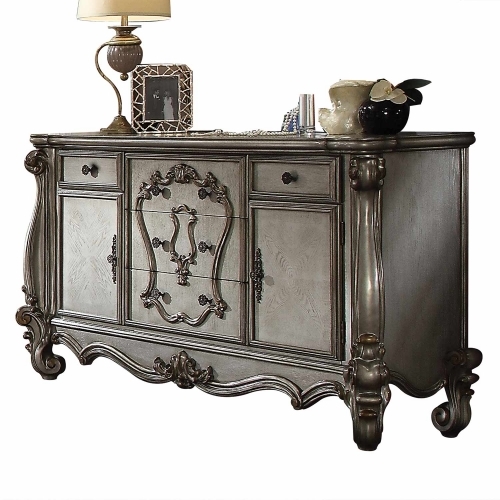 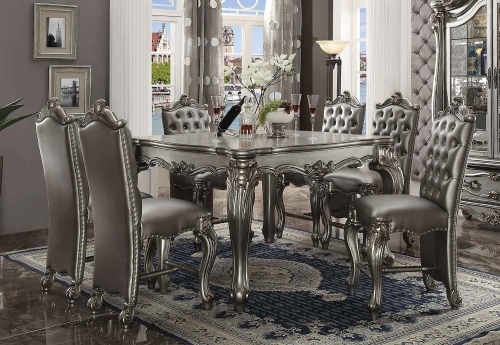 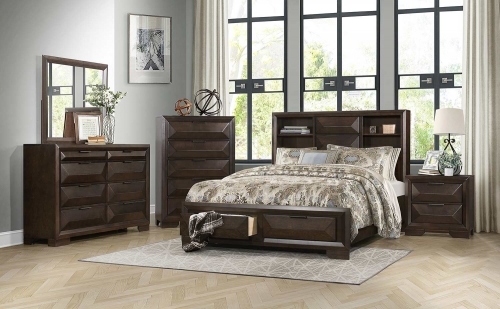 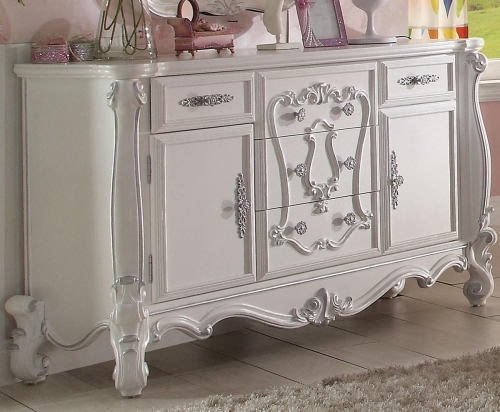 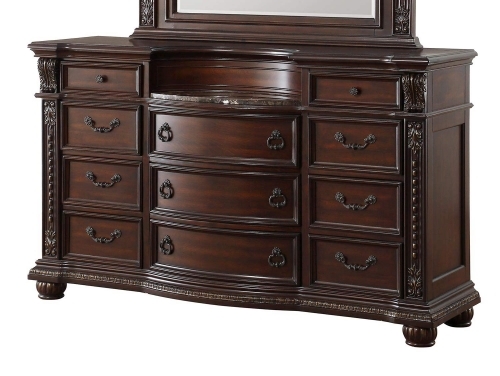 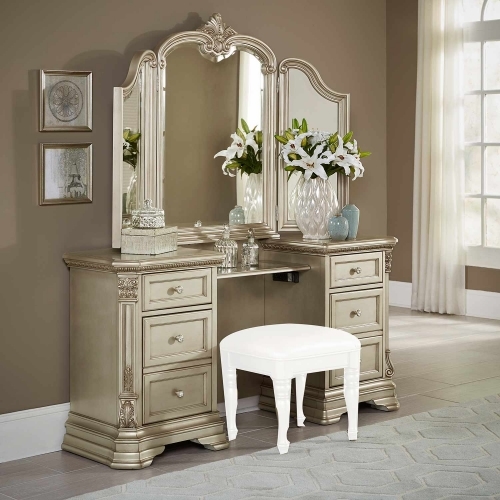 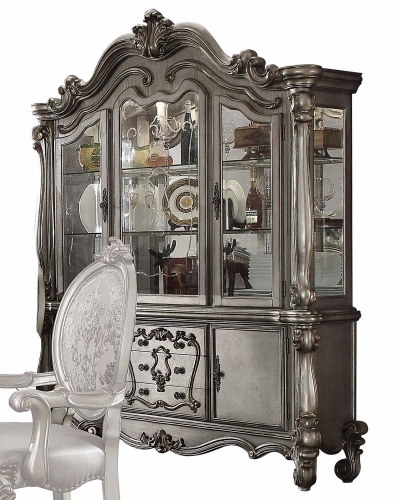 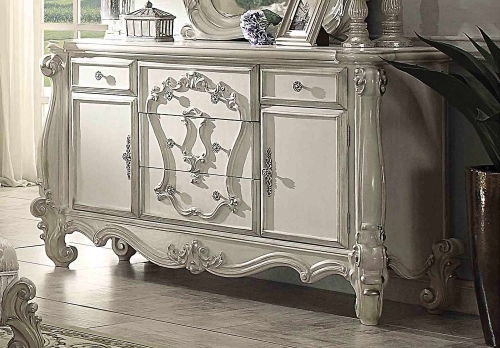 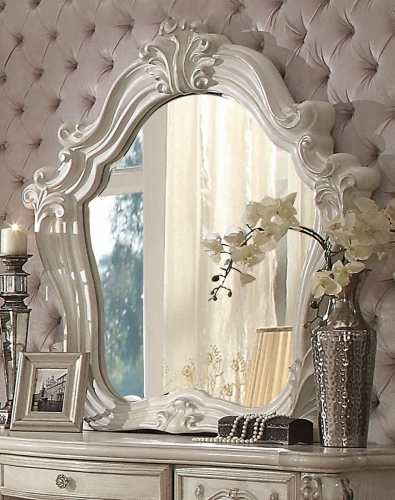 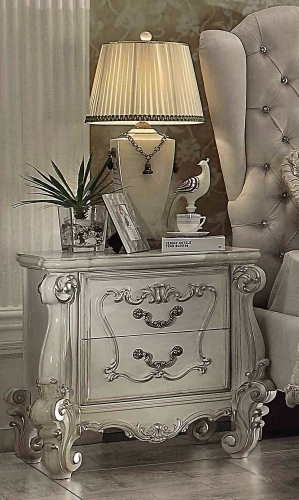 The ample storage case pieces, beveled mirror, Felt-Lined drawers, and antique platinum finish hardware make this set truly elegant and will be a great addition.